In the interest of research I have decided to willingly face the grueling task of endlessly testing and tasting the best of the best, Great British Pork Pie. I will start with the Yorkshire Dales (should be plenty there to keep me going for a while & we can always increase the test area later!) and my first report will be on those scrumptious pie makers from Pateley Bridge – T Kendall & Sons. Steak Plate Pie – a big family pie and full of big chunks of quality steak, no bits of fat and very good gravy and pastry. £4.75 excellent value easily feeds a hungry family of four. General observations on Kendall’s of Pateley Bridge Pies, Very well filled, solid, no air space, very little jelly with a thin, crisp short pastry. Also additional flavourings added to the pie rather than completely smothering the quality pork pie, all made and baked on the premises with meat from own on site butchery. The 10 year old assistant tester gave the pork & pickle and pork & mushy pea pies a thumbs up and said “100%, 5 stars and 10 out of 10” ! great praise indeed… He wouldn’t touch the ones with Apple “coz that’s minging”! 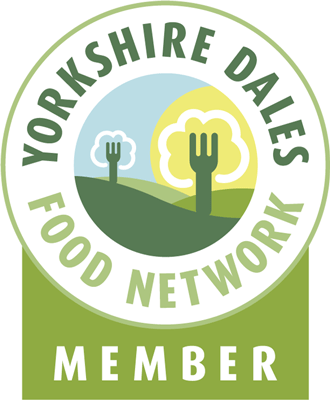 This entry was posted in Eating, Food, Yorkshire Dales Food and tagged apple, best, bridge, british, crust, mushy, pastry, pateley, peas, pickle, pie, pork, Steak, stuffing, tasting, Yorkshire. Bookmark the permalink. 6 Responses to The Pork Pie Challenge – who makes the best pork pies? I have to say Botham’s of Whitby (especially ‘et ‘ot, sinfully early in the morning) take some beating. Thanks for the tip, I will seek them out and try them! Hird’s of Keighley (on Queen’s Road – an excellent local butcher) do superb pies. Worth a detour if you’re passing through the Aire Valley. Middlemiss of Otley make the best growlers I’ve ever tasted. Eat them warm (as sold and VAT free) I have done the research and these are without doubt the best you can get.